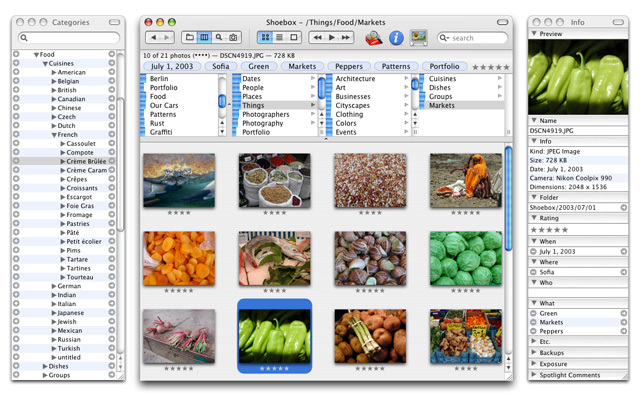 Shoebox is an application for organizing digital photos by content. Photos are added to categories, which are like virtual folders for dates, people, places and things. Shoebox learns what's in each photo, and helps you quickly find just the photos that you're looking for.